'Love will tear us apart' was written in August 1979, and debuted when the band supported Buzzcocks on their UK tour in September and October 1979. It is one of the few songs in which singer Ian Curtis played guitar (albeit somewhat minimally). The lyrics reflect the problems in Ian Curtis's marriage to Deborah Curtis, as well as his general frame of mind in the time leading up to his suicide in May 1980. The song was first released in June 1980 and became the band's first chart hit, reaching number 13 in the UK Singles Chart. The band postponed their US tour after Ian Curtis's death, performed a few short sets as The No-Names, then finally renamed the group as New Order. 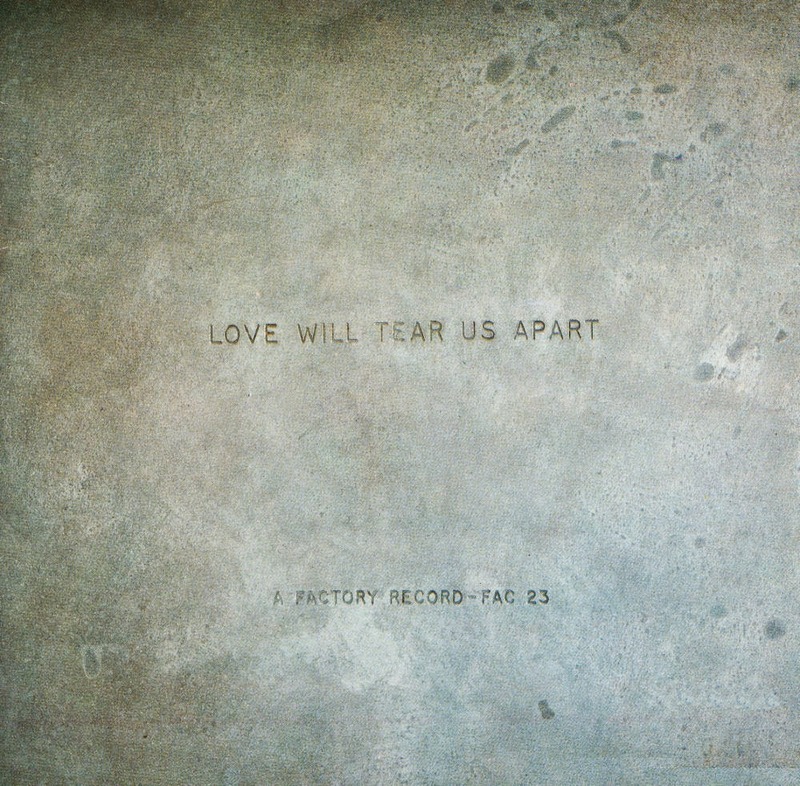 'Love Will Tear Us Apart" was re-released in 1983 and reached number 19 on the UK charts.